Bhansali’s movies known for its grand sets and highly expensive costumes, in his upcoming movie we will see again that creativity. Actress Priyanka Chopra and Deepika Padukone will peform an ambitious lavni numKeen to recreate the magic similar to Dhola re from Devdas, the director has listed the help of choreographer Remo D’Souza.ber in Sanjay Leela Bhansali’s “After 12 years, since ‘Devdas‘, audiences will see two contemporary actresses dance together in the same frame. It is a lavni composed folk song and a lot of work has gone into the sets and the picturization of the song. Both Priyanka and Deepika have worked extremely hard on the song and rehearsed long hours for it. This one has two actresses so it will require absolute perfection and synchronization. Deepika Padukone plays Mastani in the film. Deepika Padukone is portraying a Muslim character and will have a royal style in the movie. Expectations are high from Deepika Padukone thanks to her portrayal of Leela. Priyanka Chopra plays an impactful role. Priyanka will be seen playing the role of Kashibai, who was Bajirao’s first wife. Strong, intense and fearless, Ranveer looks menacing as Bajirao Peshwa in this first look. The actor sports, traditional attire from the 17th century era and gives us a brooding expression. Highly anticipated movie will be releasing on December 18. Bajirao Mastani is an upcoming Indian historical romance. Priyanka Chopra will wear 85 Indian costumes for her role in Sanjay Leela Bhansali’s ‘Bajirao Mastani’. “Sardaar Ji,” a film released by White Hill Production & Dalmora Entertainment has made a historical record-breaking opening day of a Punjabi Cinema. Sardaar Ji is a Punjabi fantasy movie to be released on June 26 (Canada) by White Hill Production and Dalmora Entertainment. Directed by Rohit Jugraj, and starring Diljit Dosanjh, Mandy Takhar, and Neeru Bajwa. Sardaar Ji’s famous Punjabi movie director Rohit Jugraj has worked with Diljit in many movies as well. 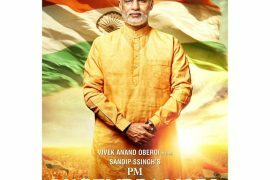 Music for this film was composed by Jatinder Shah and Nick Dhammu. The movie has a record-breaking opening day in the history of Punjabi Cinema. It opened to 100% attendance and shattered the previous openings record of Jatt & Juliet 2. It collected 2.5 crore (US$390,000) on its first day in Punjab. Meanwhile, Jatt & Juliet 2 earned 1.5 crore (US$240,000) on its opening day. Sardaar Ji also earned 14.45 crore (US$2.3 million) in its opening weekend recovering its capital cost of 11 crore (US$1.7 million) easily. Sardaar Ji beat Bollywood film ABCD 2 in overseas box office returns, topping the international collection chart. In it’s first running week, Sardaar Ji has fetched over 28 crore (US$4.4 million), highest ever in Punjabi Cinema. It is expected to do a total worldwide profit of about 51 crore (US$8.0 million). The first Punjabi movie (Chaar Sahibzaade had a total collection of 72 crore (US$11 million) since the movie was released in English, Hindi & Punjabi Languages.) Whereas, Sardaar Ji is expected to make 50 crore (US$7.9 million) mark worldwide and 30 crore (US$4.7 million) mark in India. The film is all about the ups and down in a husband – wife relationship. Ajay Devgan is all set to star in the remake of the much acclaimed Malayalam blockbuster Drishyam a murder mystery. Ajay Devgn, Tabu and Shriya Asaran are in lead roles.The first banner shows that the story of the film revolves around murder, mystery, theft and other crime-related issues. Desperate measures are taken by a man who tries to save his family from the dark side of the law, after they commit an unexpected crime. Vishal Bhardwaj to compose music for ‘Drishyam. The film is an emotional thriller and is releasing on July 31. Shraddha Kapoor will soon be starting to shoot for the sequel to the cult youth rock musical drama film Rock On in September. One of the reasons Shraddha has been chosen for this role, apart from her acting skills and youth connect, is her singing ability. So, while Shraddha is related to Asha Bhosle, who is her mother’s aunt, and can sing well, she is currently being trained by Samantha Edwards,a renowned jazz singer and vocal coach, who is training her on voice modulation. Lara Dutta’s is known for experimenting with her looks onscreen, actress Lara Dutta is all set to don a new avatar in Akshay Kumar-starrer “Singh is Bling”. The 36-year-old former Miss Universe said she will be seen in a “never seen before avatar” in the upcoming film. Seen in glamorous in ‘Blue’, desi in ‘Billoo Barber’, and now never seen before avatar in ‘Singh is Bling. Akshay Kumar and Amy Jackson in ‘Singh Is Bling’. Rajpal Yadav who is one of the highly talented comedians in Indian cinema is also a part of Sing is Bling. Jazbaa, an action-drama film, is slated to release on October 9. The film which also stars Shabana Azmi, marks Aishwarya’s comeback after a five-year absence from the big screen. Aishwarya Rai Bachchan is the main protagonist. She will essay the role of a lawyer. Irrfan Khan cast in a role of a suspended cop while Shabana Azmi will be playing the role of a mother. Chandan Roy Sanyal plays the main antagonist in the film. Siddhanth Kapoor will be essaying the role of a troubled individual undergoing psychiatric treatment. SRK Teaches Shiamak his Signature Dance Move! 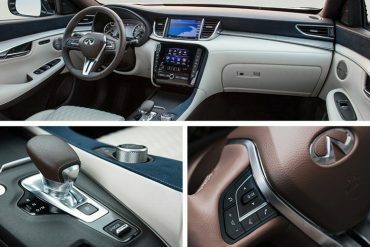 All-new 2019 INFINITI QX50 multi-tone interior inspired by luxury resort hotel!